We have some big news that we’d like to share today. Today, we would like to welcome our newest partner, MNP LLP, to the Spring Family! We’ve asked them a couple questions below for you to get to know them better. 1) What does MNP do, and what are your core values? At MNP we are an entrepreneurial-focused accountancy firm that strives to foster long-standing mutually beneficial relationships with the clients we partner with. We believe in teamwork and recognize that in order for our team members to be successful in providing exemplary service to our clients they need balance in their own lives and need to recognize the importance of having fun. We believe that every client deserves an accounting partner who is also a trusted business advisor that is knowledgeable, looking out for their best interest and committed to the highest level of service and quality. 2) What are your goals for the Spring and MNP partnership? As an entrepreneurial firm ourselves, the goal of our Partnership with Spring is to be a trusted partner for some of our city’s greatest upcoming entrepreneurs. We believe in Spring’s mission, and want to be a part of making impact entrepreneurship mainstream. As experts in our field, we strive to be an integral part of the Spring ecosystem by becoming a trusted business advisor to its community members. We want to make sure that these members have access to professionals in our field to ensure they are steered in the right direction to enable their ideas and businesses to grow and flourish. 3) How is MNP creating an impact? MNP is creating impact for its clients across BC and the rest of Canada by being a trusted service provider. Every day we are there for our clients and provide a collaborative, cost effective, approach to doing business and personalized strategies to help them succeed. At MNP, we are a firm that can grow with your business, whether you are just starting off and need assistance with structuring and have questions such as, “What expenses can I deduct in my business” all the way to you if you are selling your business and need assistance facilitating the sale. Our firm is there to help you in the process all along the way. 4) On an average day, what problems do you help solve for your clients? Getting the setup and structure of your business right from the start as well as making sure you develop systems to keep your business in line with its Canada Revenue Agency compliance is important. As an entrepreneur and business owner, making sure you do this right from the start can save significant costs in terms of dollars and time in the future. Although it can often fall to the bottom of a business’s to-do list, keeping on top of the books and records is imperative for success. It ensures you know where the business is at from a financial standpoint and allows you to drive forecasts and projections which are essential, as an entrepreneur in getting your business to the place you want it to go. Ensuring you have up to date financial information and accurate forecasts for your business also facilitates you as the entrepreneur to be proactive in determining the points for which your business may need future financing. Consult with an advisor to develop a system that best works for your business and who needs to be responsible to take ownership of this process. This could be you as the entrepreneur (in the beginning), an external outsourced bookkeeper or bookkeeping firm or someone internal to your organization. Lastly, make sure you are talking with your advisor about tax planning strategies from the onset. As an entrepreneur, your personal tax and business tax are often intertwined, so we recommend you make sure that you’re working with someone who is looking out for your best interests. At MNP we make sure we are always considering the ever-evolving tax landscape for our clients. Also, it is important to be aware there are several federal tax credit programs which are available to businesses in the technology and innovation space that could potentially go untapped for your business if you are not working with the right team. 5) Anything else you’d like to tell our community? 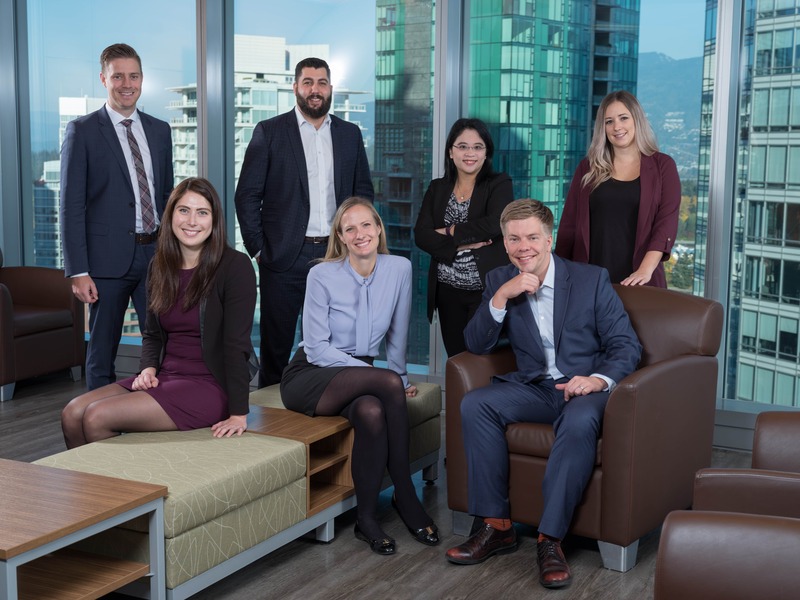 We have a talented team in our Vancouver and Lower Mainland offices who specialize in providing services to businesses in the technology sector and we are committed to the communities we live and work in and supporting the entrepreneurs who are driving innovation in those areas. Thank you MNP for putting together this wonderful blog post. We’re excited about the new opportunities this will bring for Spring’s entrepreneurs and their companies. Want to get in touch with MNP? I just tried to book an advisory session but the link isn’t working properly.